Some shoppers have keychains full of loyalty cards. Such individuals may be tired of scrolling through their email accounts for coupons while at the checkout counter. The good news is that there is a new app called Shoply that can make their shopping experience much easier. This app plays the role of a personal shopping assistant. It organizes and optimizes giftcards, personal coupons, loyalty cards as well as other carefully curated deals. The Shoply Smartphone app can be described as a magical shopping genie. This is because it knows the user’s likings and preferences; all a user has to do is tell it a little wish and it becomes its command. Utilizing some basic information from the shopper and tracking his/her in-app behavior, the app delivers personalized coupons that are relevant to an individual’s style and preferences. It sources coupons from more than 100 top retailers across the United States, including brands such as Best Buy, Ikea, Gap and Abercrombie & Fitch. Shoply’s curators look for coupons from health, fashion and beauty retailers, and from office supply stores. Basically, they curate just about anything that shoppers would find in a mall that is not food, a grocery or convenience store. At the moment, Shoply is just sourcing in-store and online deals already out there. 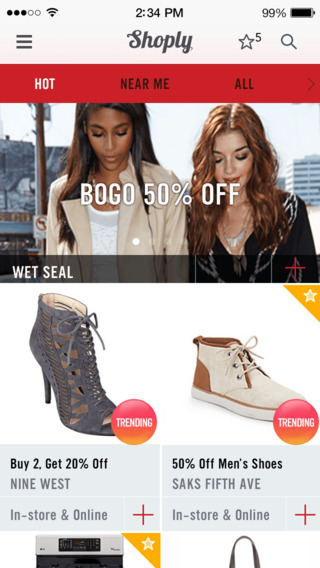 The app has a long-term goal of making retail partners with exclusive deals. Also, it will house weekly circulars such as Ikea and Target ads together with the handpicked deals by its curators. All of this content is merged with user-added data to come up with a complete shopping experience. 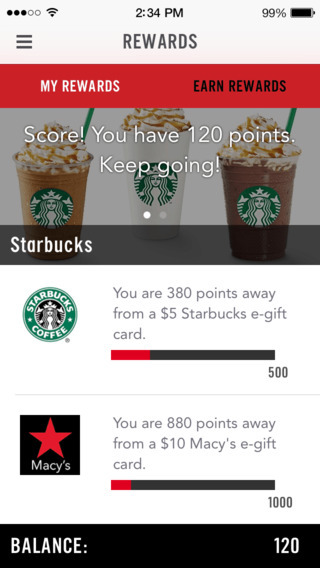 Shoppers can add loyalty card and gift card numbers to be stored inside the app. In addition, they can take photos of any exclusive, personal coupons, thus doing away with the need to carry paper coupons. The entire data is set up within an all-in-one Smartphone checkout pouch. When a Shoply app user walks into a retail store, everything he or she needs for checking out is bundled into this pouch. All such a user has to do is show their phone to the cashier, and redemption will be easy since all the required details are ready. 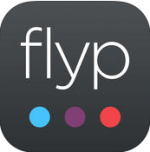 This app performs all the heavy lifting, delivering a contextualized and personalized shopping experience. 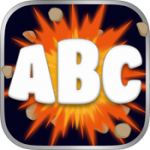 In addition, it is incentivized with a rewards system. 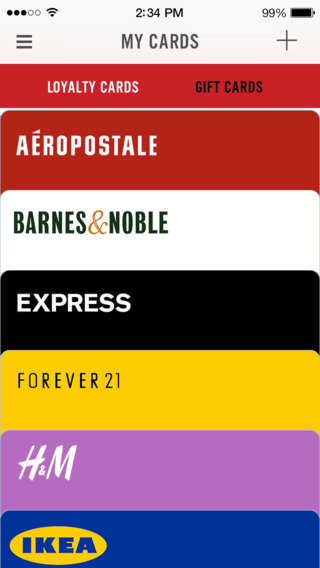 By using the app, shoppers get points that are redeemable for gift cards. Shoply is heavily involves in social media networks. This provides another outlet for rewards through encouraging its users to invite and share their experiences with friends. The app’s makers have big aspirations concerning how it will change the shopping experience of users. It will be possible for retailers to deliver the right coupons to the right consumers, while shoppers can utilize all the available incentives to the fullest. Shoply has been under development since December of 2013, with the team working towards making it even better. The Shoply app simplifies the user’s shopping experience by cutting the clutter out of savvy savings. A user will never have to forget a gift card or a retail coupon. Everything shoppers need for an easy and hassle-free is all found in a single app. I still suggest giving LuvMyJewel a try if you’re in the passionate mood for some Fashion Jewellery, New Fashion Accessories for Women in UK and want something that is absolutely distinctive. Ninflated : Finger Twister !